When spring finally arrives, tackling your garden can seem like an impossible job. 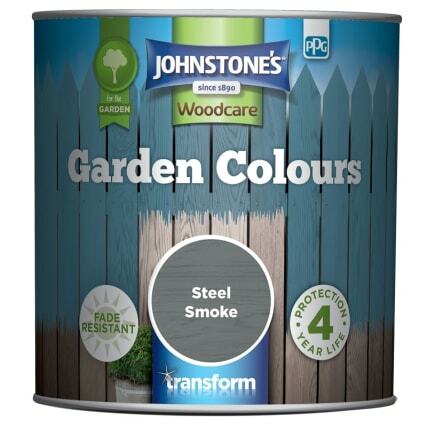 But B&M are here to show you – with a little help from Harris’ Transform range – that sprucing up tatty sheds and re-newing discoloured fence panels is really a lot easier than you’d think! For garden lovers like us, painting sheds is the most fun you can have outdoors! It’s a great opportunity to get creative and add your own unique personality to something that is so often ignored as merely an outdoor storage solution. But you don’t have to go electric pink or glow-stick orange to make it stand out. A neutral colour might not set the world alight on its own but by planting colourful plants and flowers around the shed borders, you’ll create a wonderfully attractive focal point. B&M Top Tip: you can keep your shed looking traditional on the outside, but make it pop with some bright colours on the inside! How about cream for the exterior and bright red inside? Or pastel purple and pink? If you’re as savvy as us when it comes to saving money, you’ll no doubt be aware of the up-cycling revolution! There’s literally nothing you can’t do with an old pallet. Whether it’s a makeshift planter, a support for hanging baskets, a vegetable patch, DIY table and chairs or somewhere for climbing plants to grow, pallets are an up-cycler’s best friend! Take a look at our huge range of outdoor paint to find the right colour for your project and don’t forget you’ll need the Harris Transform Mini Roller Woodcare Set to bring your creation to life. 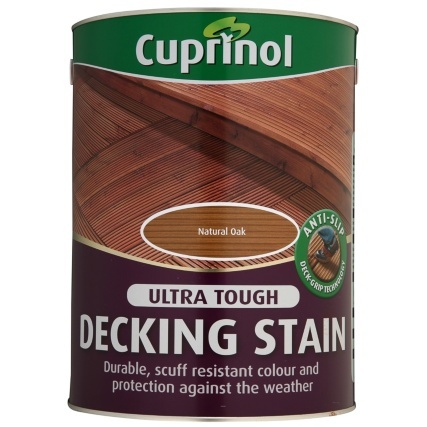 Decking stains aren’t just for making your decking look glossy and new. This treatment will help protect the wood from algae and mould growth while its anti-slip properties make it safer for going about your usual garden business. 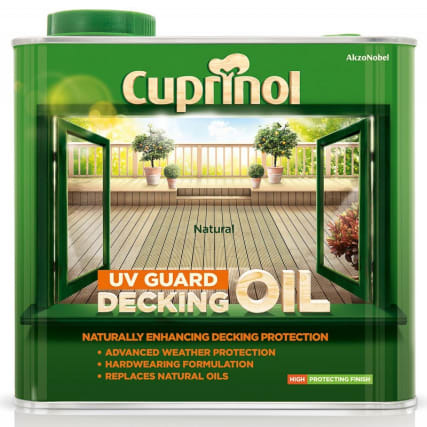 Its semi-opaque finish is no compromise on toughness – B&M sell a host of decking stains and oils to weatherproof (and more importantly, make pretty!) garden decking. 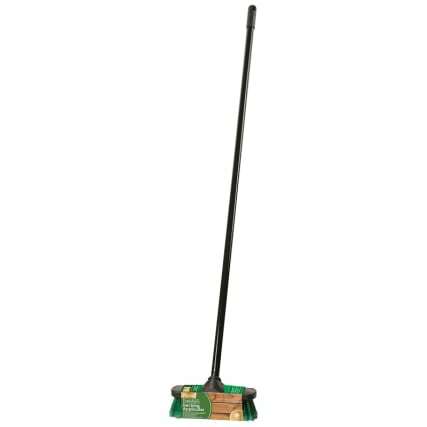 B&M Top Tip: this Harris Transform Decking Brush will come in handy, ensuring your decking stain gets into every groove of every panel. 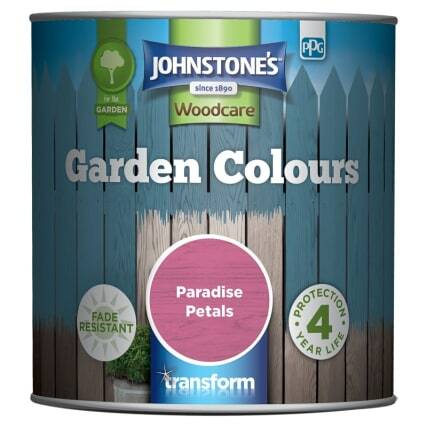 Of course, the colour you decide to paint your fencing depends on your own personal taste. But it’s worth considering how existing features (bird houses, sheds, decking, walls) will best complement fences. 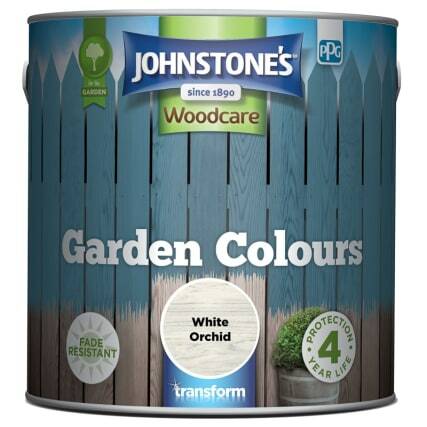 You can’t go wrong with the traditional green or brown, however neutral colours like white, cream and pastels give you the opportunity to contrast your fencing with bright and colourful flowers and plants. 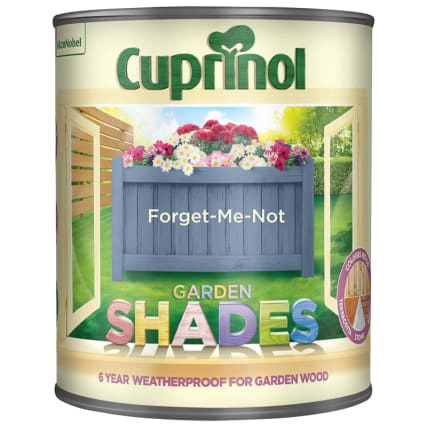 Cuprinol’s Forget-Me-Not is a blue-grey that complements the natural greens and browns of your garden, making for a tranquil outdoor setting. 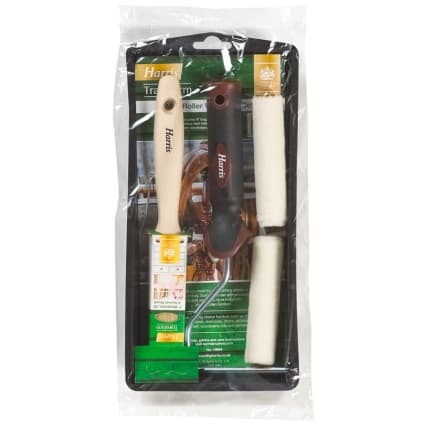 This Shed, Fence & Decking Roller Kit from Harris’ Transform range of outdoor decorating tools will come in handy! How have you transformed your garden? Show us your before and after shots on Facebook, Twitter & Instagram! Harris Decking & Fence Roller Frame & Sleeve 4"